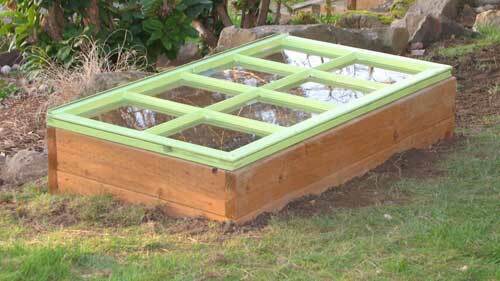 Cold frames are one of those garden accessories you'll wonder how you got along without after you have one. You can think of them as mini greenhouses. In Seattle where I live it's possible to grow salad greens and spinach during the winter in these boxes. There are many variations of the basic design. Some incorporate electrical heating and also function as hot beds. Some have features that react to overheating by automatically opening vents. This article pictures several home-built designs. Each one uses a variation of the same theme - a bottomless box with a window placed on the top. If you don't feel up to the task of building your own there are plenty of commercial sources. One type is an aluminum-framed Plexiglas box that lets in maximum light. 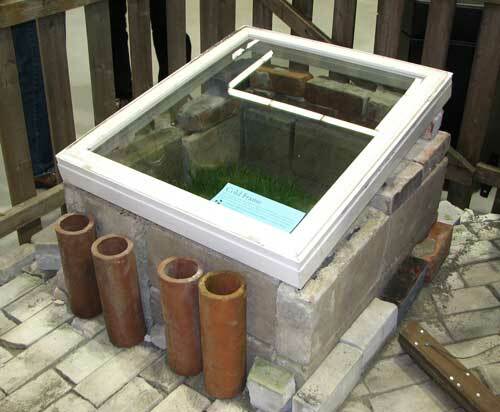 I have plans for the simple design shown in the above photo in the article Build a Cold Frame. Ideally the transparent top should be angled toward the south (northern hemisphere) for best exposure to sunlight. Placing the box on the south side of permanent light-colored structures such as fences or buildings will provide additional protection and reflected light. The idea is to capture the daytime warmth and preserve some of the heat for the cold nighttime temperatures. Also, it's best to position the box on a slight slope to avoid pooling rainwater. Winter is a good time for growing spinach and other cool weather vegetables. I use mine to harden off tomato and other vegetable plants. Pepper plants are frequently hardened off in cold frames. It also provides an excellent place for starting seeds in the Spring. Heat loving plants like peppers can be grown in the box if you live in a cool region. My home-built model is really just a raised bed with a window topper. 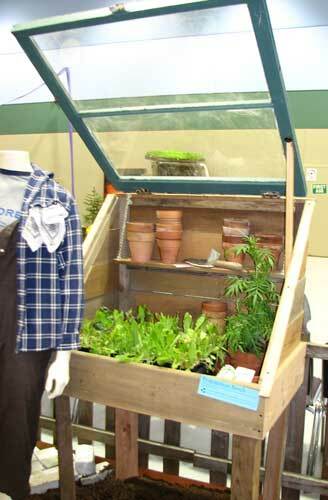 I'll store the top and use mine as a small raised bed during the summer. I'll plant lettuce for fall harvesting. 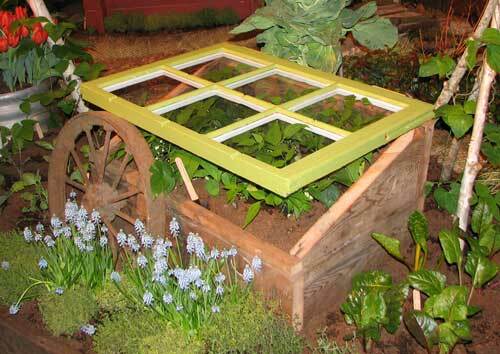 Fill the box with a good soil mixture just as you would for a raised bed. The article tomato soils has good information on soil composition that applies to most garden plants. Twelve inches of a good crumbly soil mixture will be fine. The main point to remember is to continually renew your soil by mixing in an inch or two of rich compost at least once a year. For those really cold days where the temperature falls well below freezing you probably won't be able to keep the interior above freezing without without using electrically heated cables buried in the soil. But you can help preserve warmth by doing a couple of things. One is to further insulate the box by lining with polystyrene (Styrofoam) sheet insulation. The second is to cover the top with old blankets or other similar materials to help insulate from the cold. On warm sunny days the box will overheat if the top remains closed. You'll need to get to know the characteristics of yours by monitoring the temperature and learning when you need to open or close the top. I found an inexpensive wireless thermometer at Home Depot that works well for this purpose. Prop open the lid to release excess heat. On some days you may even have to cover the top with a shade cloth or other shield to lower the interior temperature. What plants grow best in this environment? The best vegetable to grow is probably leaf lettuce because it grows quickly and abundantly. Another vegetable that grows very successfully in cold frames is spinach. Other vegetables that grow very well are carrots, green onions, radishes, and chard. As you gain more experience using yours, you'll want to try growing other vegetables as well.